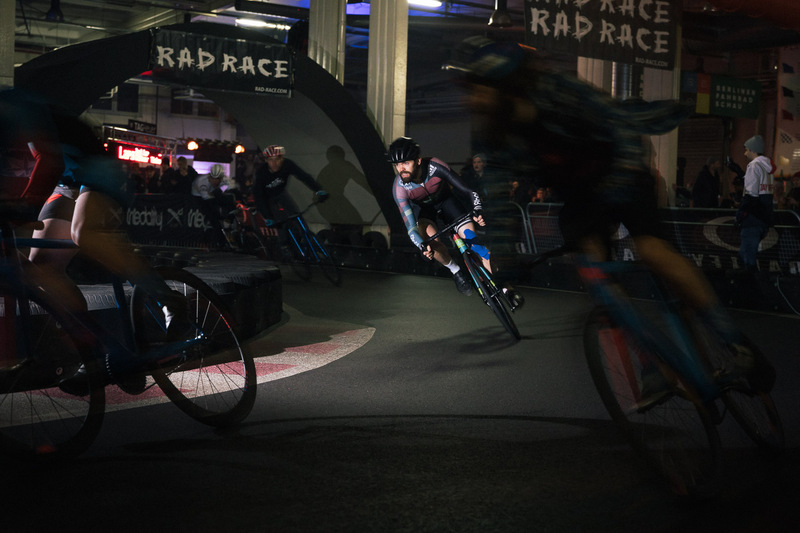 Last weekend the Rad Race Last Wo/man Standing did take place and our 8bar team as well as our 8bar rookies have been very successful once again! 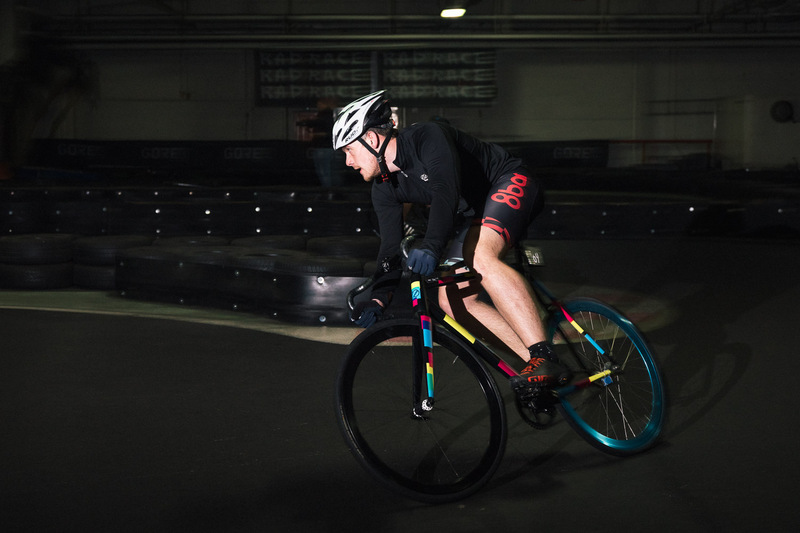 The Rad Race Last Wo/Man Standing is a well established race in the fixed gear scene by now and exists since four years. 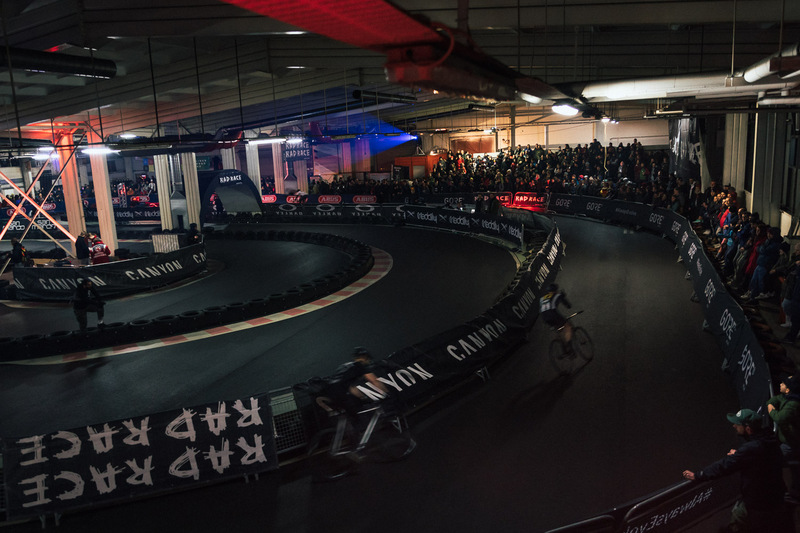 Although this year’s edition was in a new location: the MobiKart Go-Kart track in Berlin-Hohenschönhausen / Marzahn. Wait. 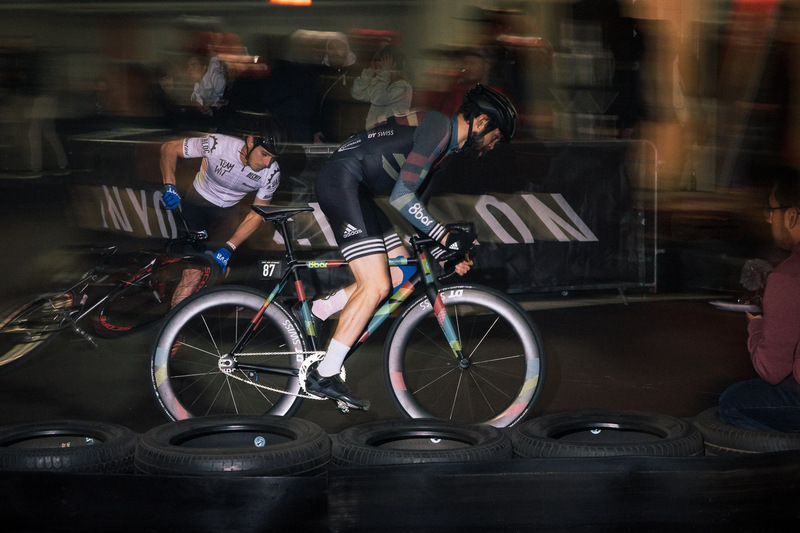 A fixed-gear bike race on a Go-Kart track? This is still such a great idea. 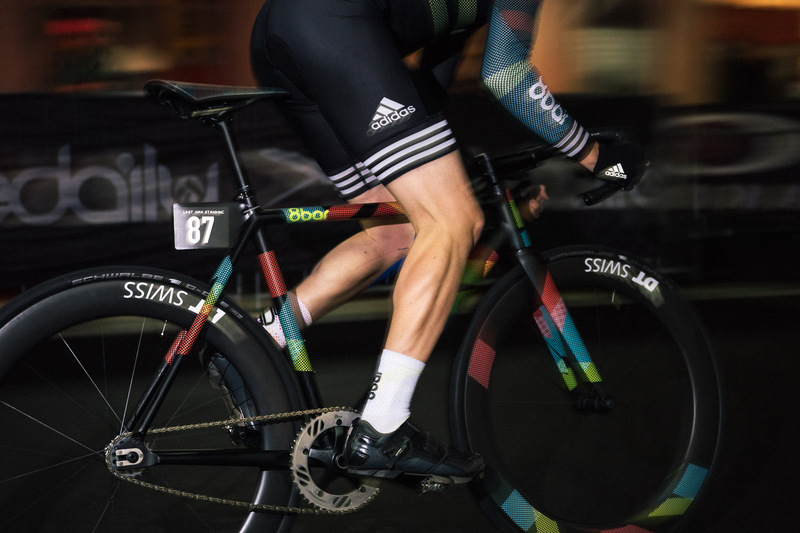 The tight turns make this a very technical race, not too fast, but incredibly thrilling. 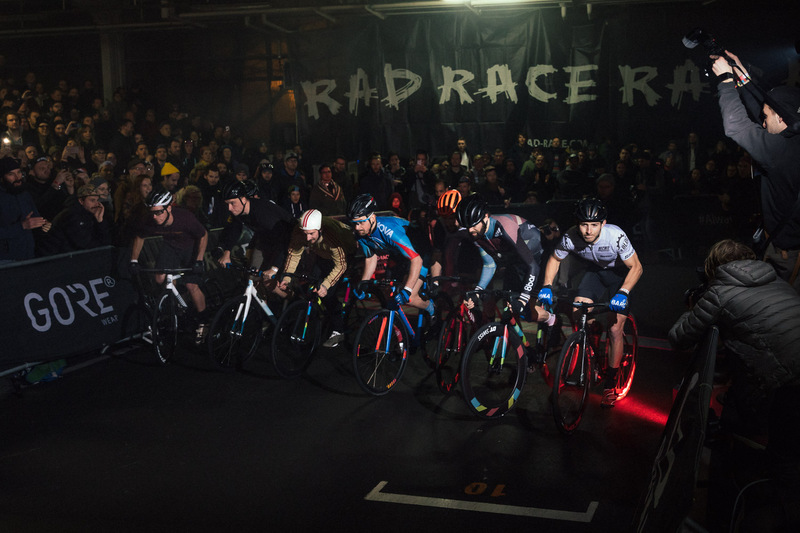 Big props to Rad Race for setting up an incredible atmosphere year to year. Starting with the qualifying the race mode was a classic elimination race for both men and women. 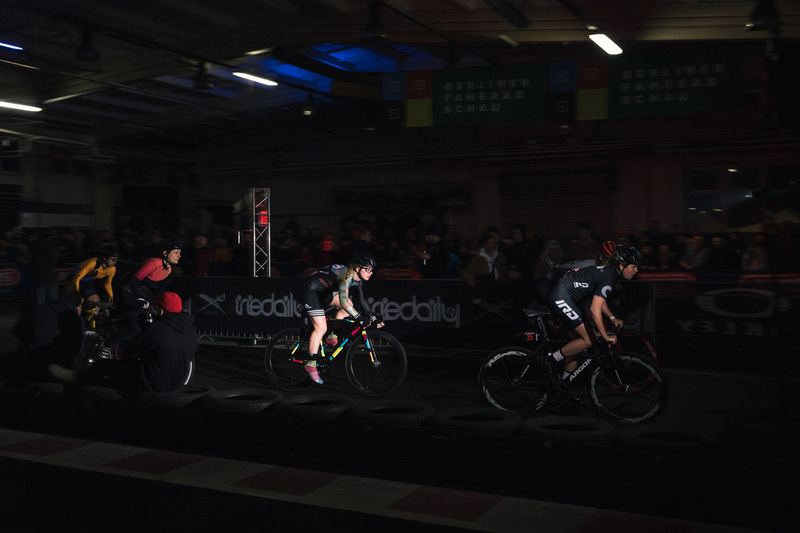 This means, all riders start from the same line and every two rounds the last rider got kicked out. 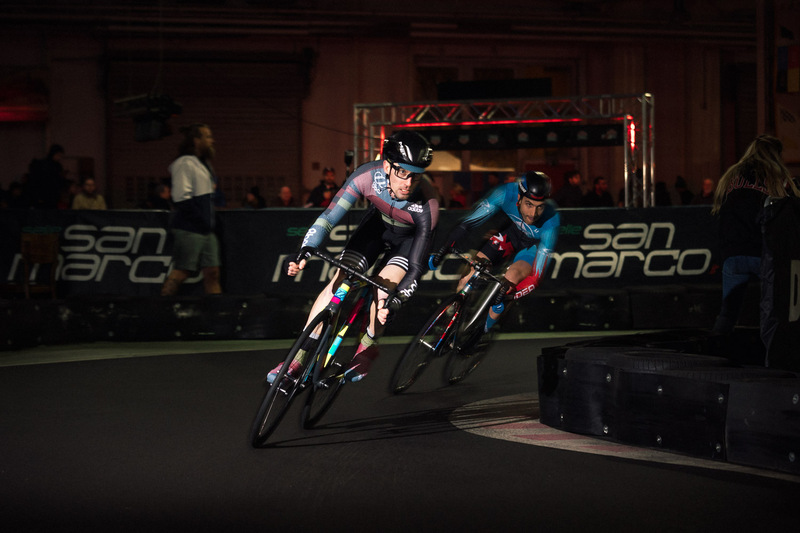 During the qualification heats the best four riders advanced to the next round, while the finals were going on until only the Last Women or Last Men was left “standing”. 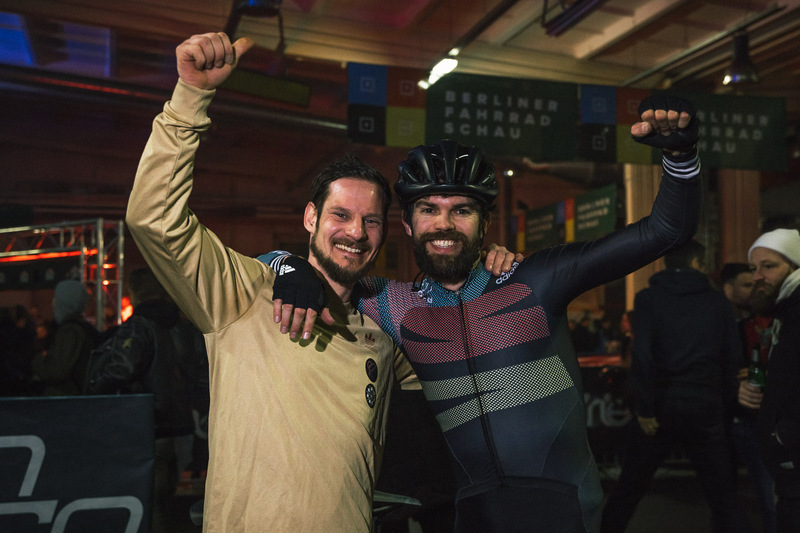 The 8bar team had six riders starting: Max Baginski, Sebi Körber, Stefan Schott, Robert Kessler, Francis Cade and Isabel Tambach. 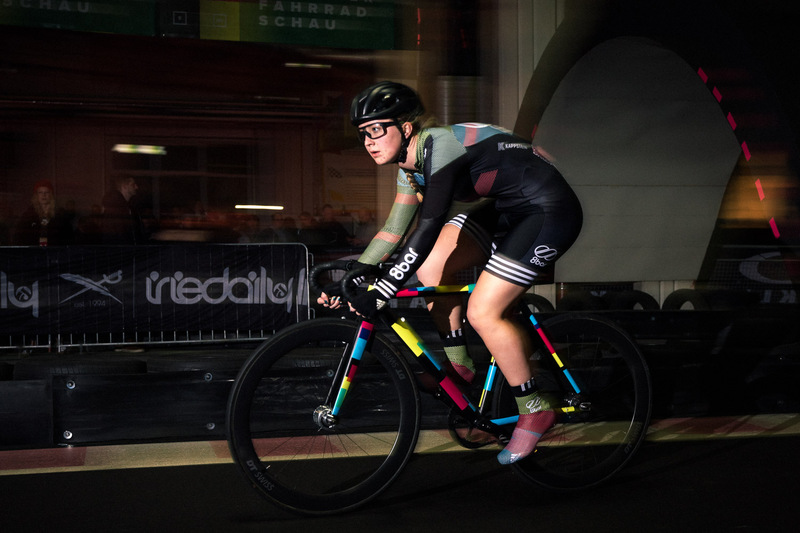 Whilst the first three all have ridden big races with the 8bar team before, it was the first technical fixed-gear race for Isabel after winning the previous 8bar Last One Standing in Berlin Velodrom this year. 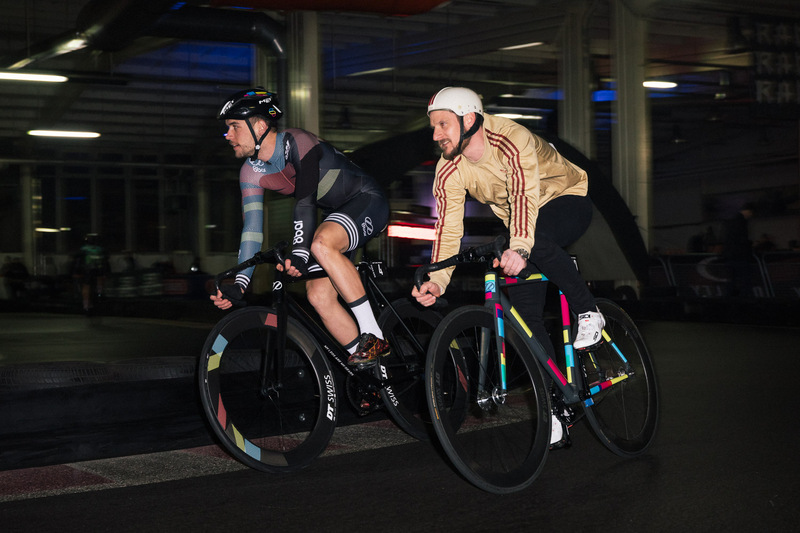 Francis Cade and Robert Kessler even had their debut for the 8bar team. Once again a warm welcome from us to you here! All of them did a very good job on handling the new surroundings. The whole 8bar team performed very well. At the end Sebastian and Stefan made it until the finals. 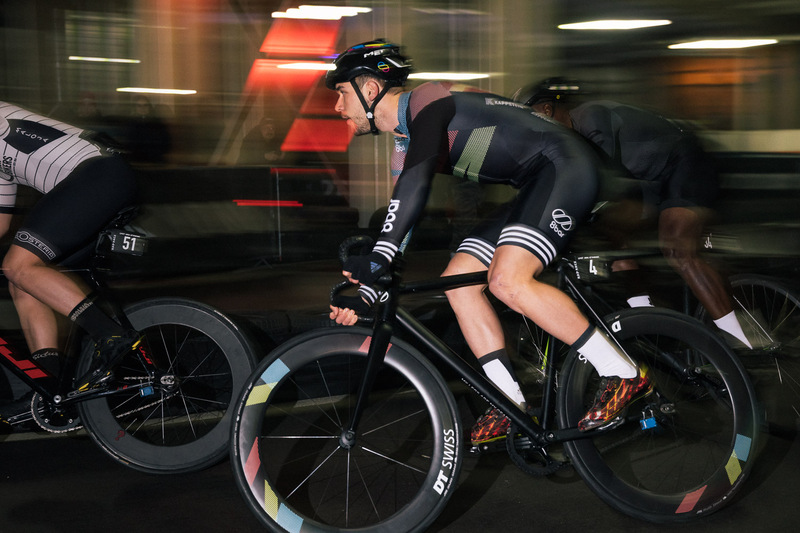 With a very technical course and a high-level it was really exciting to see these guys racing. Because of the narrow and technical track it was always a risk to overtake people. That’s why there were also more crashes during the finals. It was the same rule for everyone… All in or nothing! In the end Sebastian finished on a great 6th place and Stefan won the wooden medal (4th place). Beside that we had also some 8bar rookies on the start line. 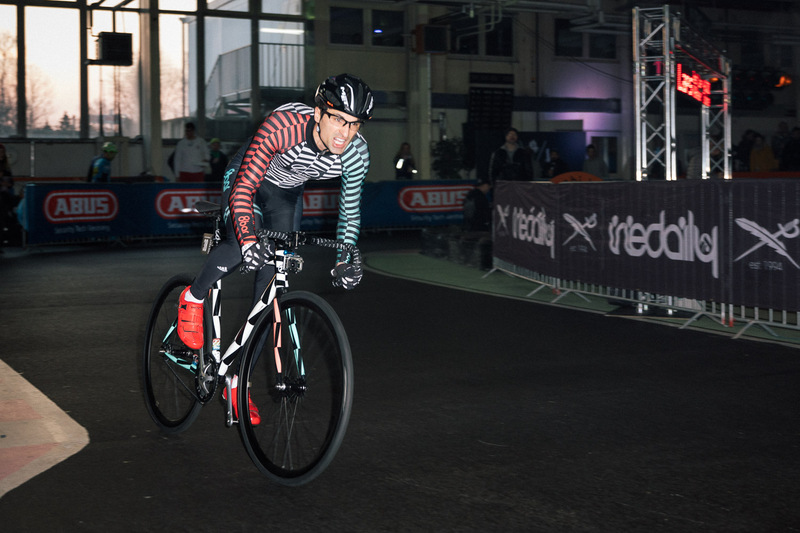 Erik Helmer, Asaf Lanzer and Rick Zeibig performed well and had lots of fun on the track. 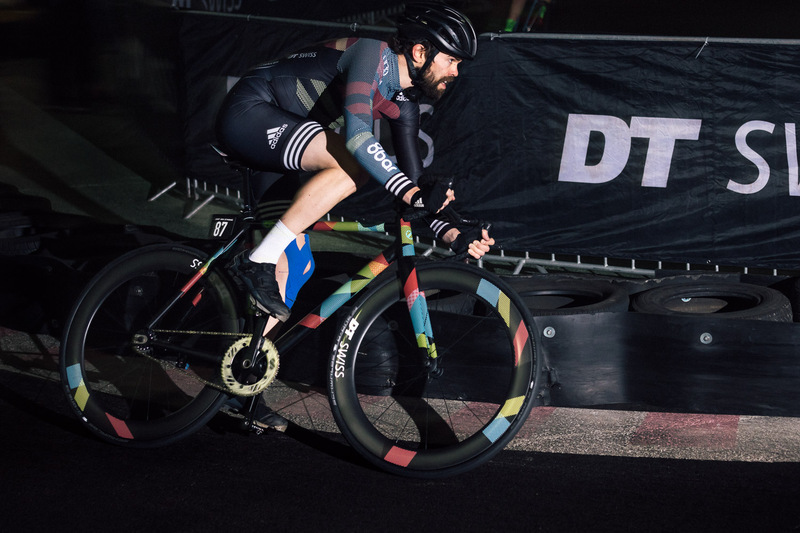 The race was also the first test for the brand new 8bar TMPLHOF team edition, which is going to be raced around the globe by the 8bar team. 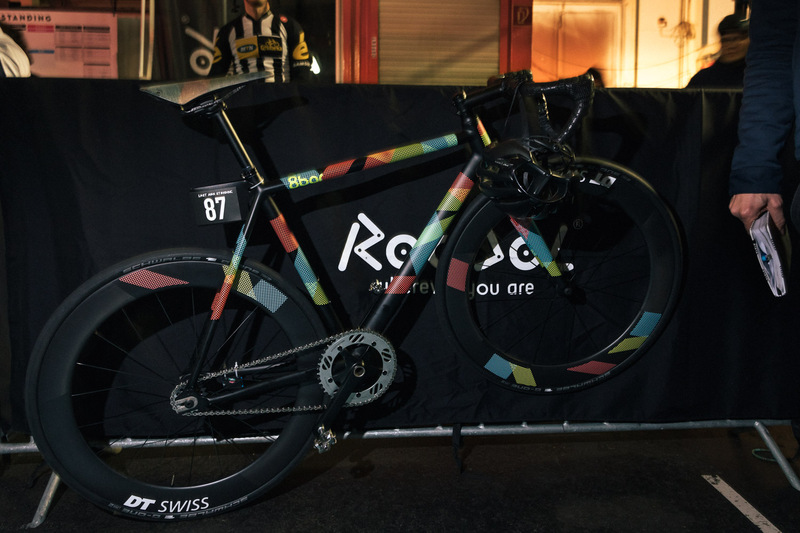 Stefan showed with a great forth place that it is ready for the upcoming crit season. 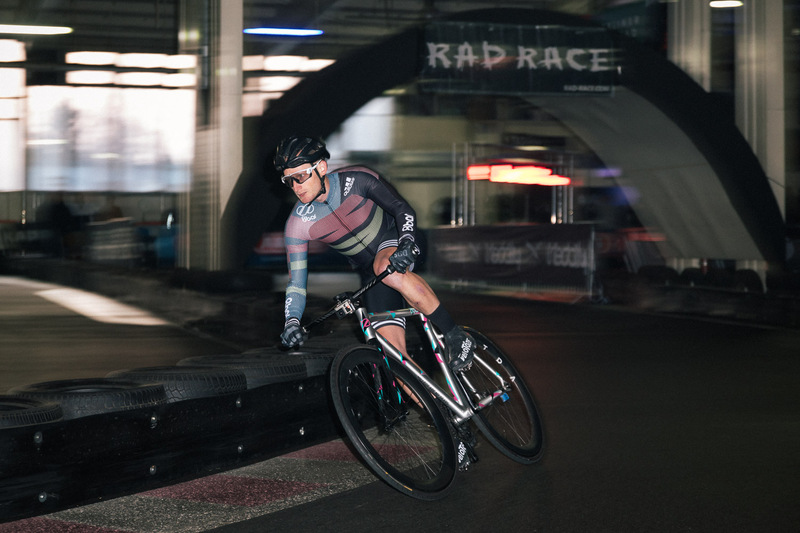 Thank you Rad Race. It was mad fun! We will be there next year for sure! Our new team rider Francis Cade captured the scenery on his youtube channel. Enjoy!